Breast Cancer Awareness Month takes place throughout October every year. Show your dedication to the fight with a long-lasting item that will stay in sight. These tubular knit polyester lanyards are especially designed for the cause and make a great giveaway at any charity event. 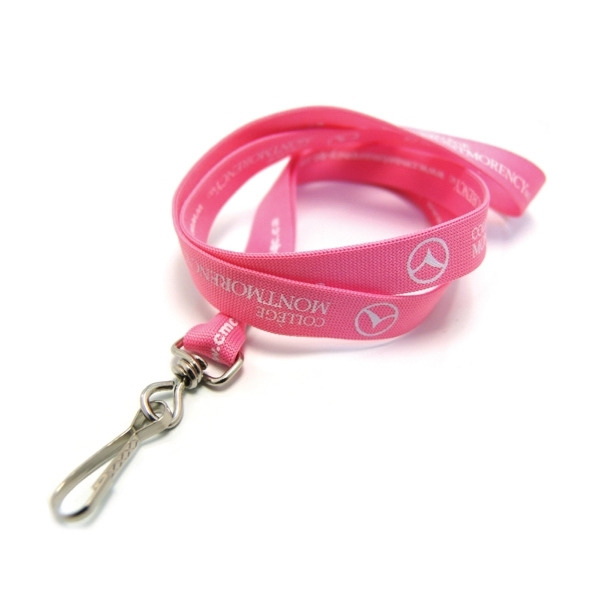 Have this lanyard printed with your company name and logo for a promotional souvenir that will spread awareness for the cause all year around. Size: 35" L.
I'm interested in learning about the Breast Cancer Awareness Silkscreened Tubular Lanyard. Please contact me.